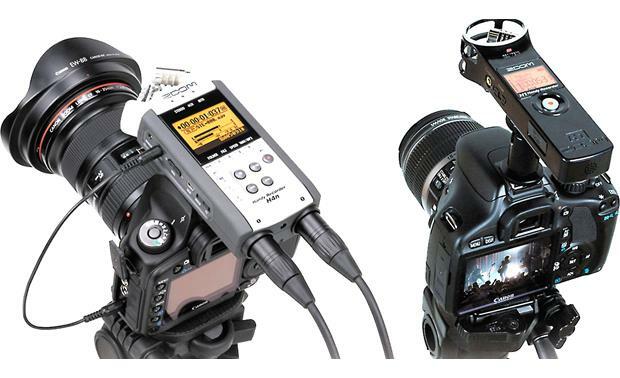 The Zoom HS-1 allows you to connect a Zoom Handy recorder to your DSLR camera. It allows video and audio recording together in a single rig for easy control. I needed a hot shoe mount for my ZOOM H4N so it was a no brainer to go with the ZOOM HS-1. The quality of it surpasses the no name knock offs asking the same price. Overview: The Zoom HS-1 is a hot shoe mount adapter designed for use with the Zoom Handy Recorders, including the H4N, H5, and H6. The adapter allows you to mount the recorder on the hot shoe of a DSLR. Design: The HS-1 has a 1/4" stud on the top that screws into the 1/4" tripod mount thread on the bottom of the recorder. The bottom of the HS-1 has a standard-sized mounting foot that fits onto any DSLR with a hot shoe. 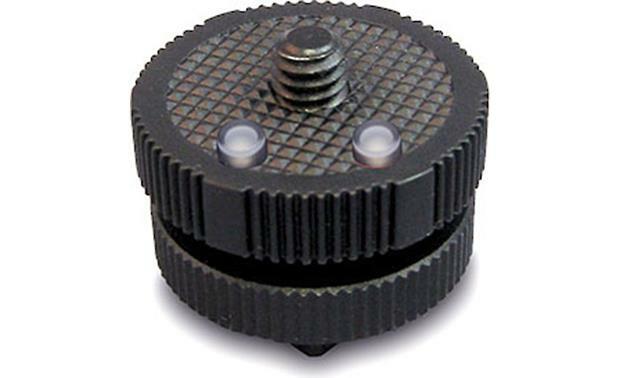 Both the tripod stud and hot shoe mounting foot have dials that can be used to tighten the adapter to the recorder and camera. Searches related to the Zoom HS-1 Hot shoe mount adapter for Zoom Handy recorders.